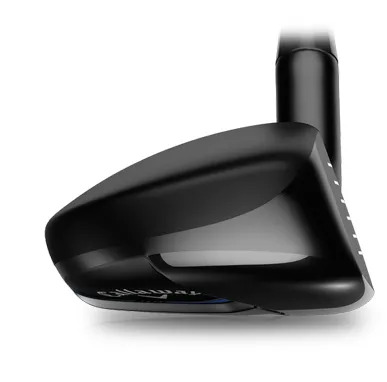 You’re looking for something like this with the clubs in your bag. 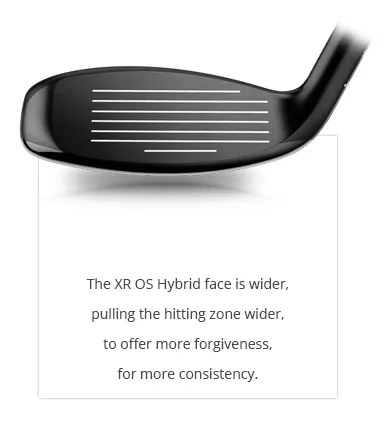 It actually doesn’t matter whether your 5 is a hybrid or an iron, you need to be able to hit it the same distance as often as possible, and that distance needs to sit between where you hit your 4-whatever and your 6-whatever. There will be an Iron that’s just too difficult for you to use. Possibly, if you were trying to retain a consistent gapping, you ought to hit your #6 Iron 160 yards. But on most occasions, you don’t. Maybe that’s the point where you find you hit your #6 Iron barely further than your #7 Iron, and what’s more, you’re inclined to slice approach shots with a #6 Iron. 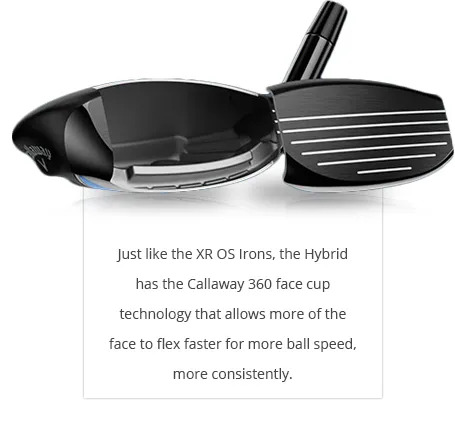 The Callaway XR OS Irons and Hybrids are designed to be easier to hit and, where you need to replace Irons with Hybrids, they create a sensible distance gap from the club that went before. Don’t play with an Iron you can’t hit consistently. Replace it with a Hybrid that fits into your ‘distance charts’. 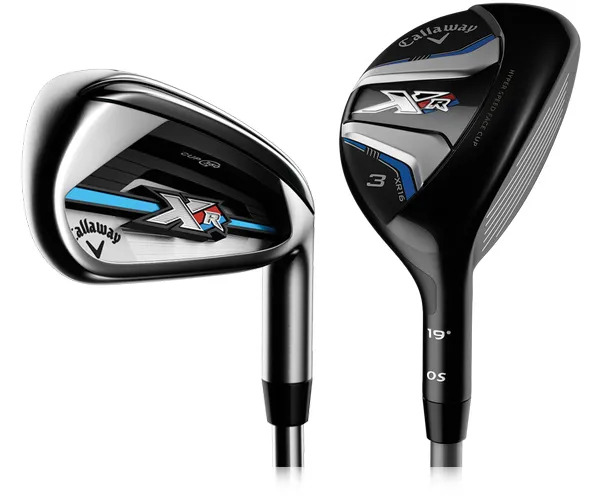 The Callaway XR OS Hybrids are designed to make sure you improve the amount of times you hit your target distance. 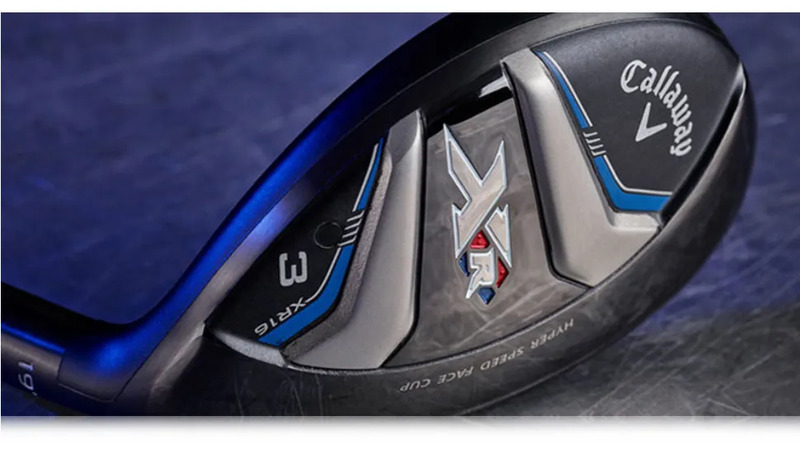 The Callaway XR OS Hybrids come in loft options starting at 19° and going all the way down to 31°. That’s a lot of options for each golfer. You should let us help you build a set that will fit for your golf game. It should be a set selected to help you hit better shots on target more often. It should be a set fitted for your golf swing.